Benny interviewed during BAO's appearance at Skansen. See below for more pictures. On Tuesday we’re off again. 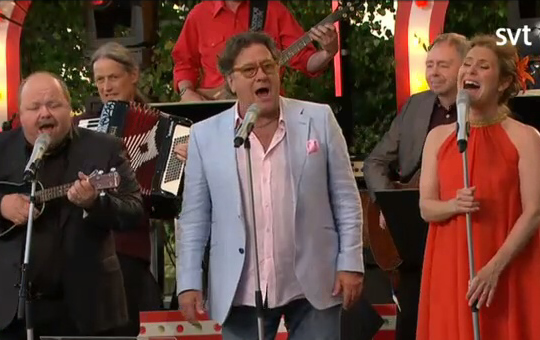 Benny Andersson and his orchestra are lined up to kick off the new season of Allsång på Skansen. 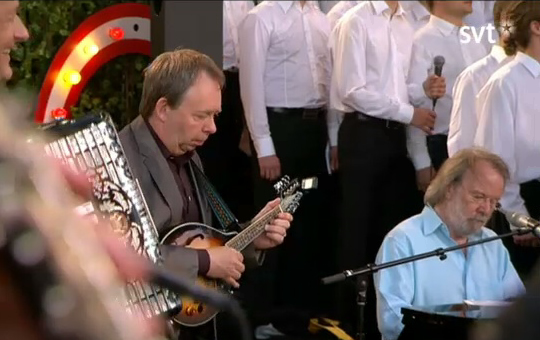 Normally, BAO (Benny Anderssons Orkester) finish the season at Skansen, but not this year. Together with Lunds Studentsångare, Danny Saucedo and September, BAO will be in prime spot and kicking off the new series on Tuesday 28 June. Much is different for season 2011. The host (Måns Zelmerlöw) is new, as well as conductor (Kristofer Nergårdh) and his orchestra. 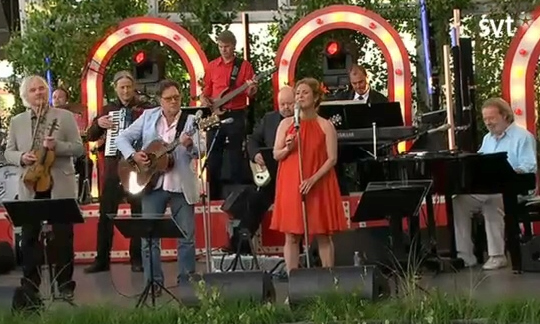 But Benny Andersson’s 16 people strong orchestra is intact and the audience can trust that it will be the same beloved vocalists who stand at the microphones in front of the orchestra: Helen Sjöholm and Tommy Körberg. 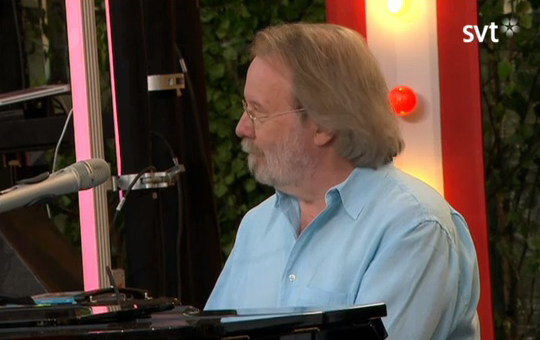 – When you have Helen and Tommy, you do not engage others singers, said Benny Andersson, who this year celebrates his tenth anniversary with BAO. The orchestra has just released a new album and as usual the reviews from the critics were mixed but it does not bother Benny Andersson. – The critics certainly think that our music does not follow a distinct path. It is difficult to say that it belongs to a particular genre. This hard to define music has landed well with a wide audience, and soon attracts the orchestra on a new tour of Sweden, a tour that goes to Ornskoldsvik, Järvsö, Leksand, Karlstad, Helsingborg, Gothenburg, Mariefred and Galejan at Skansen. And just as before, the orchestra has a mobile dance floor on the road with them, something that is appreciated by the audience. 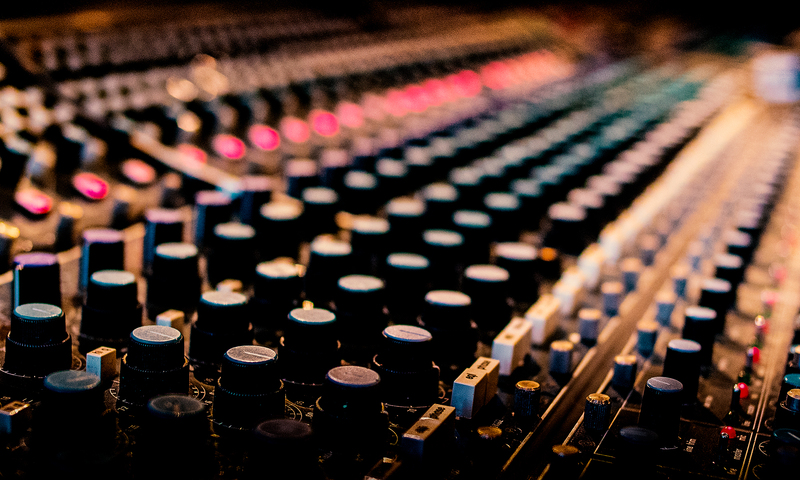 Benny Andersson says that the BAO started as a hobby project – a few years of music making with Orsa Spelmän. But, he reveals that now he always has the orchestra and the two vocalists in his head when he sits down at the piano to compose. What will you be performing on Tuesday evening? – Helen will sing Kära Syster. Björn has written the lyrics to that and then Tommy, Helen and Kalle Moraeus will sing O klang och jubeltid, the title track of the new album. What does Allsång på Skansen mean to you? ? – It will be fun. This time there is a new host. I think Måns Zelmerlöw will do well. 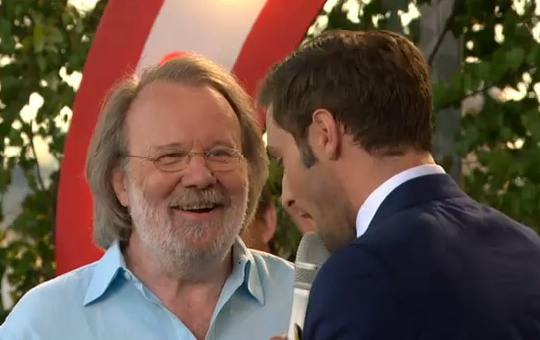 He has a likeable charisma, says Benny Andersson. There are probably many Swedes that would say the same thing about BAO maestro Andersson, who has lost count of how many times he has been involved in Allsång with Orsa Spelmän and BAO. He did not even know how many CDs BAO has recorded or how many songs he wrote for this pet project, but what does it matter? It should also be available to watch afterwards in the same place. The feed usually works from within the UK – not sure about other countries. It’s so great to have watched this show on my computer. Really great! BAO appears at: 00:13:30 & 00:51:30 & 01:03:30. Hmm… I think Helen looks pregnant (again)!? Great to see Benny looking so chilled out! I thoroughly enjoyed BAO’s performance last night. I gained an even greater appreciation of the song ‘O klang och jubeltid’ which I thought was fantastic at Skansen. Personally, I thought Helen took a wee while to warm up, hitting, as she did, a couple of flat notes during ‘Kära Syster’!! After that though, she was really great. Hope the online link works tonight to SVT, looking forward to watching it. Bought the new cd in Göteborg at the weekend and have played it in the car ever since. Really like ‘En Dag i sänder’. Hope it’s on your track list for the tour Benny. Lycka till. All the Swedes out there. Did I pass? 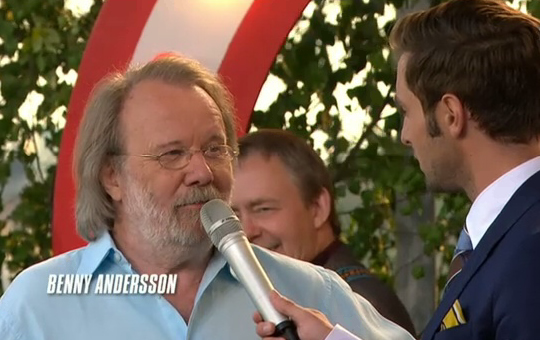 Benny Andersson Band has now had opening night in Oernskoeldsvik yesterday 21/7! The review: fiive stars out of five! The review headline: WOW BAO! This is the best concert they have ever seen with Benny Andersson. Benny says in the article “it is so great to be here!” something which everybody notices. So to all of you who have not yet got tickets for a concert please hurry up and do so! I think Stockholm is sold out but there are still tickets left at other places in Sweden! john dodds: Pleased to hear Benny’s BAO doing so well.and promoted to prime spot to open Skansen. Benny is i believe the same as his former band mates from Abba days….a normal,down to earth guy who takes pleasure and pride in his music.Due to that and his approachability he is a favourite with audiences…..certainly no stuck up pop star as we have today…….good on the guy. Look forward to his new album here in Uk. Next PostNext BAO’s Summer Tour 2011 – were you there?